My favorite beauty regimen is exfoliation, which involves using some lightly abrasive material or fabric to slough off, or remove skin cells from the outermost layer of skin. It is healthy for the skin because it moves aside the dead skin cells to make room for newer skin cells to emerge, allowing the skin to appear smooth and healthy. As I mentioned in my Thanksgiving post back in November, I don’t believe in New Year’s Resolutions. Every day of the year is an opportunity to make changes for the better. I usually take time to reflect on the events of the year as the New Year approaches. 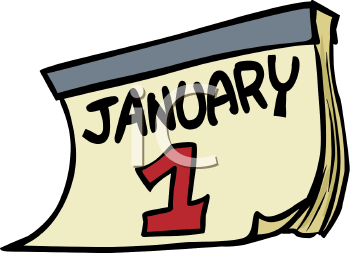 However, this year I’ve decided to just slough off 2011 and move forward to 2012 – get rid of the dead cells of 2011 and make room for the freshness of the new year. I will not wallow in the challenges of this year, rather I will draw from the strength I gained through those challenges to propel me into 2012. I have entered into a joint venture with my best friend of over 25 years, Stephanie Darby. She and I have formed SistahGirlfriends, Inc., an event-planning collaborative focusing on hosting hair, makeup and beauty shows. We sponsored our first mini-makeup party back in November (read about it here), and plan to host another one in time for Spring 2012. 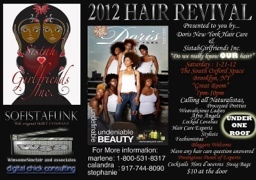 On January 21, 2012, along with our great friends at Doris New York Hair Care Products, we will be hosting our first Annual Hair Revival. NYC beauties are welcome! Of course, Jasmine and I will continue to bring articles, interviews and more to This and That With Calandra. Thanks to all our readers for supporting us in 2011…we look forward to sloughing off 2011 and starting 2012 with new skin!